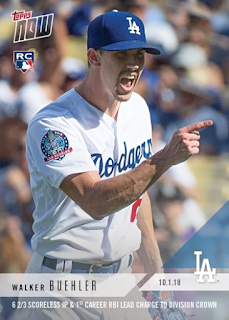 2018 Topps Now - #828, #829, #830 - National League West Division Champs! 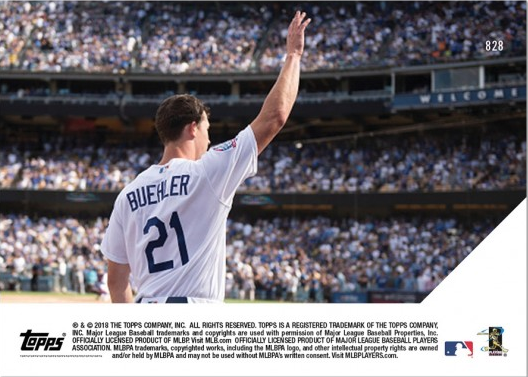 Here's a late look at the three 2018 Topps Now cards issued to celebrate the Dodgers claim to the National League West Division flag. First, they make note of Walker Buehler's brilliant performance against the Rockies. He recorded 6 2/3rd innings of one-hit ball during Game #163, while also knocking in his first career run. Go here to check it out and order. BTW, they also issued six different autographed versions of the card, but they sold out quickly. At the very bottom I've taken screen shots of all six cards. 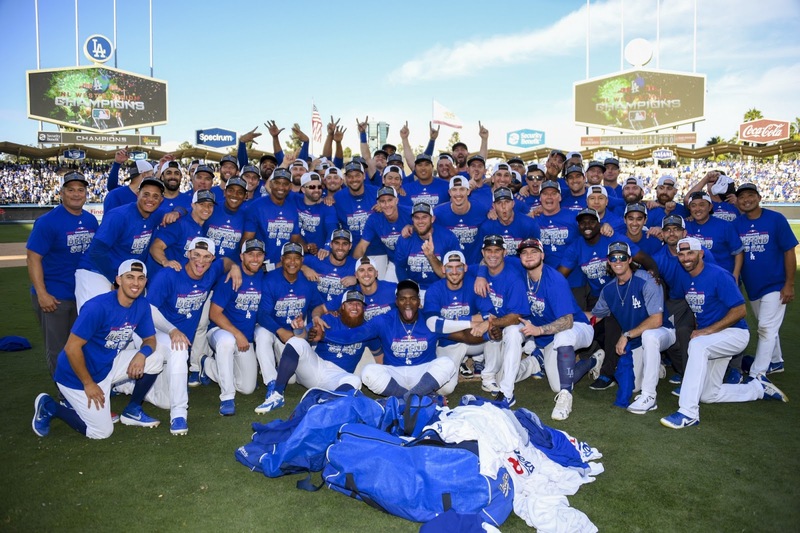 Blog Kiosk: 10/2/2018 - Dodgers Links - National League West Division Champions! "What I see now is the same as I saw back then," Roberts said, clutching tightly a bottle of champagne. "With all the adversity we put ourselves in, we knew we could overcome. I never wavered from believing that and they never wavered either. It's a long season. That's why you play 163." This Day in Dodgers History: In 1963 Sandy Koufax become the first pitcher to fan fifteen in a World Series game as he defeated the Yankees, 5-2, during Game 1. Watch highlights of this game as called by Vin Scully here. In 1977 Dusty Baker hit his 30th homer of the year to become the fourth player on the team (along with Ron Cey, Steve Garvey and Reggie Smith) to have hit as many home runs during a season. This is the first time this has happened in the history of the game. In 2004 Steve Finley hit a ninth inning walk-off grand slam against the Giants at Dodger Stadium that clinched the NL West title for the Dodgers. Watch Vin Scully's call here. 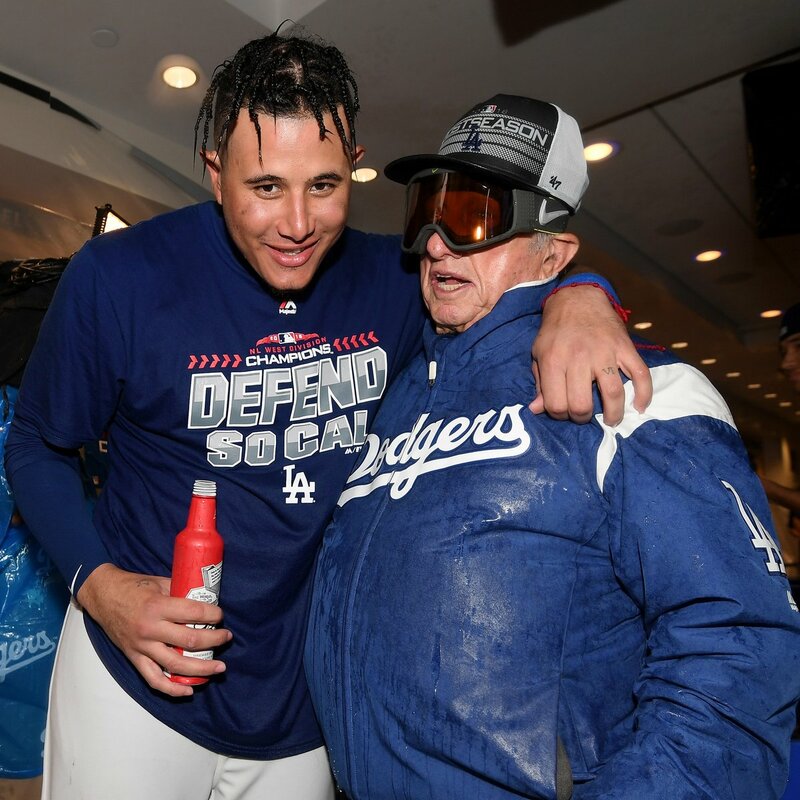 Happy Birthday, Ray Lucas & Maury Wills!